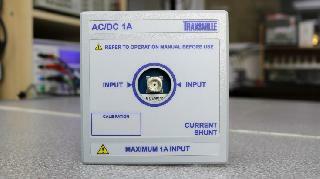 Transmille offer a set of current shunts enabling measurement of current from 1mA through to 100A. Each shunt develops 0.7V at nominal full scale, enabling a wide range of multimeters to be used without loss of resolution due to changing range. 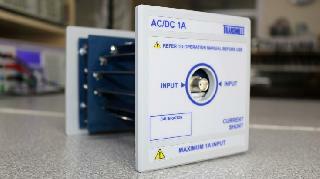 The AC/DC current shunts provide excellent DC value stability, but also a wide range in frequency allowing measurements from DC up to and beyond 30kHz. The coaxial design of these shunts reduces inductive and capacitive effects, while an open design improves heat dissipation to minimize power co-efficients. The coaxial design offers superior accuracy and low electromagnet influences, ensuring a liner and predictable frequency response. Each shunt has a type N output connector to ensure low noise when measuring at high frequencies providing easy connections from the shunt to the measuring device. The set of AC/DC current shunts has been designed to enable fast and efficient calibration of multiproduct calibrators and current sources under a laboratory environment. Using the AC/DC current shunts in conjunction with an 8000 series multimeter the 3000A, 4000 and 9000A multiproduct calibrators can be efficiently maintained internally, as well as supporting other manufacturers products. Transmille offer a total of 14 high precision shunts each with an output value of 0.7V against nominal input. These shunts come in various input values between 1mA up to 100A*. The coaxial design offers superior accuracy and low electromagnetic influence, ensuring a linear and predictable frequency response. Each shunt has a type N output connector to ensure low noise when measuring at high frequencies providing easy connections from the shunt to the measuring device.